Villa "Glory" is a two-story old mansion, drowning in greenery. 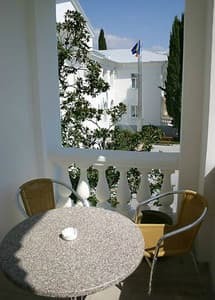 The hotel is located in a cozy corner of the South Coast Alushta, 300 meters from the waterfront. 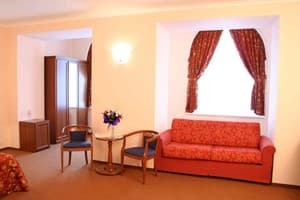 The hotel has 19 rooms decorated in warm colors and equipped with all accessories for a comfortable stay. 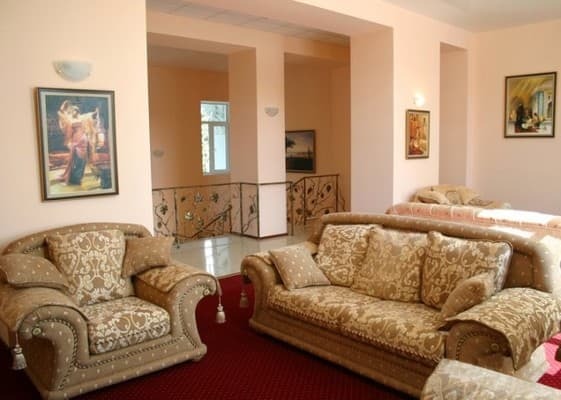 Each room of the villa "Slava" - air conditioning, television, telephone, safe, mini-bar, refrigerator. On the territory of the hotel there is a swimming pool with a jacuzzi, a children's playground, a place for barbecue, and secure parking. 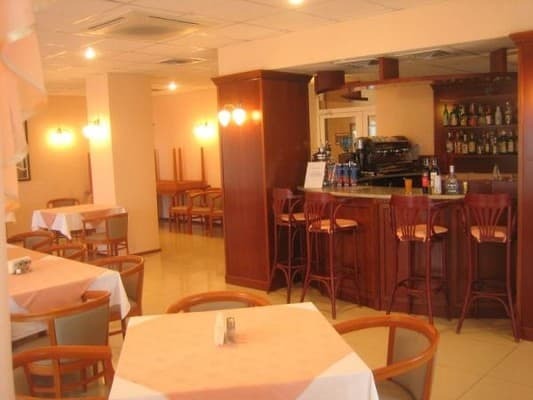 Guests have the opportunity to try a variety of European cuisine in the restaurant that works at the hotel. The bar offers delicious, refreshing cocktails. The distance to the bus station of Alushta is 2 km, the town of Simeonopol is 40 km. PRICES MAY CHANGE, YOU NEED TO RECEIVE INFORMATION FROM THE OPERATOR! Description of the room: Cozy room of 26 sq.m., equipped with a sitting area, wardrobe, double bed, balcony. 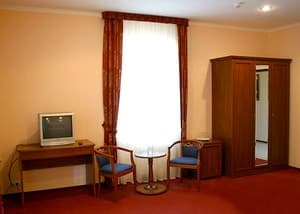 Description of the room: The room is 42 sq.m. with air conditioning and a minibar. The room has all the amenities for a comfortable stay, as well as a furnished balcony. Description of the room: This room measures 30 square meters and features a seating area with a sofa. The room has all the necessary accessories for a comfortable stay. The cost of additional space for a child (from 3 to 12 years) - 570 UAH, for an adult - 720 UAH. 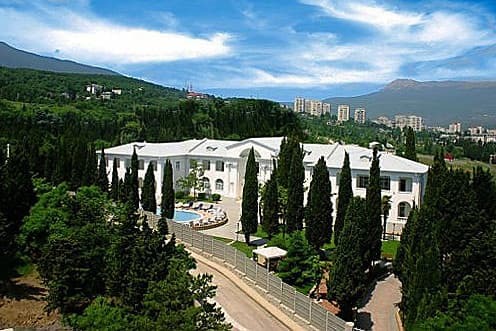 The hotel is located in the park zone of Alushta, 300 meters from the embankment. Distance to the bus station is 2 km, Simferopol - 40 km. From Simferopol to Alushta - a trolleybus № 51, № 52. From the bus station to the hotel - trolleybus / shuttle bus number 2.